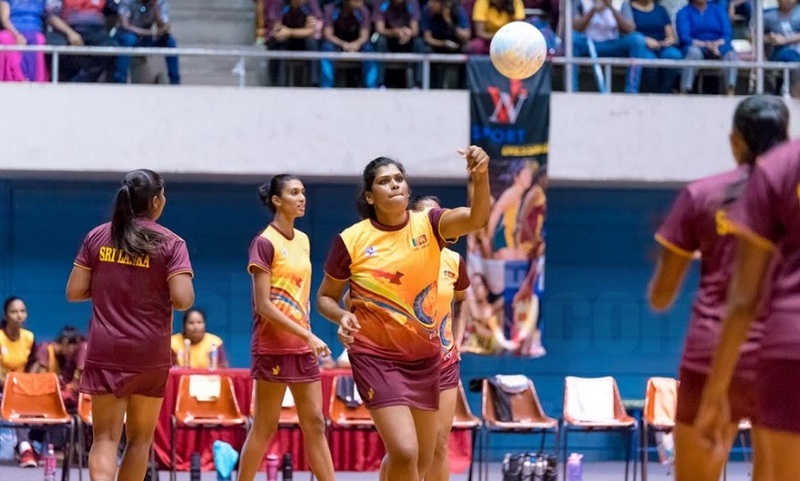 Two players from Jaffna, Tharjini Sivalingam and Ezhilenthini Sethukavalar have inducted into the 12-member National Net Ball team for the Asian Netball Championship series. The 11th Asian Netball Championship series commenced in Singapore yesterday, Saturday. A 30-member squad was under training for this series under Coach ,Thilak Ginadasa from January this year. A 12-member team has been now named to participate in the series. The International level star Tharjini Sivalingam from Jaffna District has kept her place in the 12-member squad. Another player from Jaffna District, Ezhilenthini Sethukavalar has now found her way into the National Squad. Although Ezhilini (193 cms.) 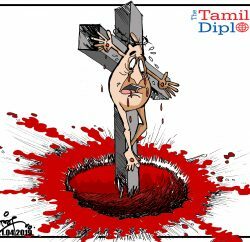 is with a skill like Tharjini (208 cms. ), she is shorter by 13cms. Ezhilini did not have the chance of training with the National Squad from January. She revealed much talent in the National Netball championship held in April, that she was immediately included in the National squad. Ezhilenthini is playing for CDB Team while Tharjini is playing for Seylan Bank. It is notable that the Sri Lanka Team, won the Silver in the Asian Net Ball Championship held in 2016.